I am definitely not a daily false lash wearer, but have been known to have a bit of a flutter (pardon the pun ) for the occasional "do" Now normally when this happens I head to Boots and stand staring like a mesmerised fool at the array and seriously have no flippin clue what I'm looking for. I just happened to be watching YouTube vids by my Fav make up girlie's Sam Chapman and Nic Haste over at Pixiwoo.com when I saw mention of these fantastic real hair lashes, they are by Amazing Shine and come in various shapes and lengths so you will absolutely find a pair to suit you, and the best things is they are only a couple of pounds so you really can afford to experiment and have a little play if you don't usually use them. 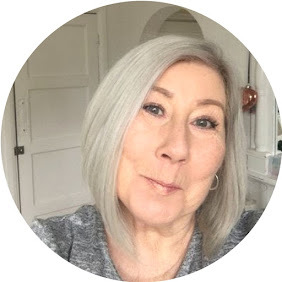 If you are a regular lash wearer you know coming from the girls, there is no higher recommendation, I bought 2 pairs no 601 a spiky look and number 12 which was a soft natural look, so natural I had to tell the family I was wearing them ! Just a note, you will need to buy or own Lash glue, as they don't come with any. Hey Girl ... Just wanted to let you know that I nominated you for the Liebster award. Check it out on my recent post at Lifeofaworkingwife.com. Thank you, that's lovely of you .